Driver dead after Two-Vehicle Collision On Belvedere Road | Schuler, Halvorson, Weisser, Zoeller & Overbeck P.A. A female driver is dead and a male injured in a two-vehicle collision after their car was struck by a semi-truck. The semi-truck lost control on Belvedere Road at just west of Florida’s Turnpike. It swerved and struck a passing car, the Palm Beach County Sheriff’s Office said. The impact of the two-vehicle collision caused the car to hit a curb and then a tree, ejecting the two. Deputies were on the scene for several hours to clear the debris left by the wreck. The semi driver was not injured, said Teri Barbera, Palm Beach County Sheriff’s Office spokeswoman. The identities of the car driver and passenger have not been released. The female died on arrival to the hospital. The male passenger is expected to survive, Barbera said. First emergency responders arrived soon after the crash happened and the victims were transported to a Regional Medical Center. 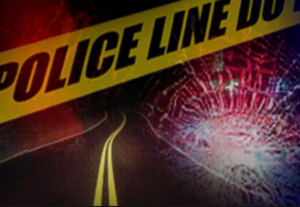 The female driver suffered fatal injuries and died shortly after she was transported to the hospital. A male passenger in the car was reported to be in a critical condition in the ICU. Reacting to the crash, Teri Barbera, the Palm Beach County Sheriff’s Office spokeswoman said the fatal crash was as a result of traveling at high speed. She appealed to drivers to obey traffic laws; speed limits and to be mindful of other road users.